When you’re trying to figure out how to start off planning for your wedding, one of the first things you focus on are the invitations. This process will require you to take in the sights and sounds around you in order for you to realize what it is you really want to do with your wedding atmosphere.It is a great idea to take the season of your wedding into consideration when planning because it will allow you to incorporate the season and what it has to offer into your festivities. For a spring wedding floral is always the most obvious choice, mostly because flowers are one of the most enjoyable things about the spring season. You can draw inspiration from your favorite flowers or flowers that bloom in the perfect colors for your bouquet. 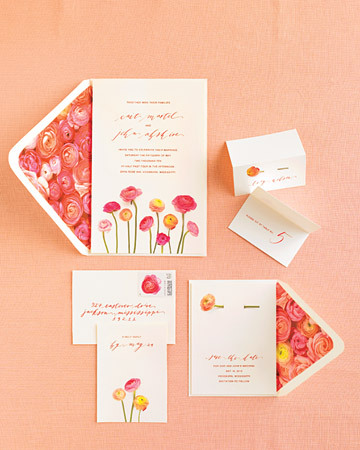 Either way flowers for your spring-time invitations are sure to make your guests eager to see what kind of beautiful flowers you’ve chosen for your wedding. What happens if your wedding is in the spring but you aren’t really in to flowers? Thats an easy fix, you can still incorporate all of the beautiful colors of the spring into your wedding and invitations without using flowers. Using bright colors and beautiful shapes can still give your guest the excitement for the spring season without the flowers, though it would still be great for you to make sure that the colors that you are using can easily be translated over to the overall decor of your wedding as well as your bouquet. 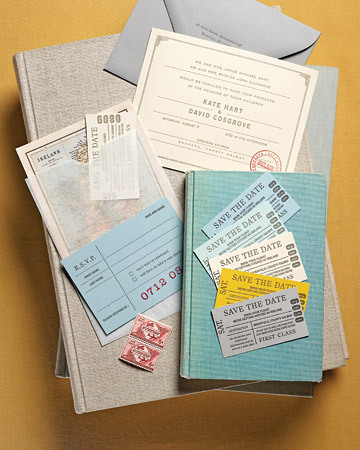 Having a small destination wedding? No worries, use your destination to your full advantage. Your invite should emulate the beauty of the location you have chosen for your wedding, this also gets your guests excited for not only your wedding but the actual trip their taking. This is an opportunity to have fun with your invite’s, include fun facts about your location, and things that your guests will be able to do there if they happen to arrive early or if they plan to stay a few days afterward. 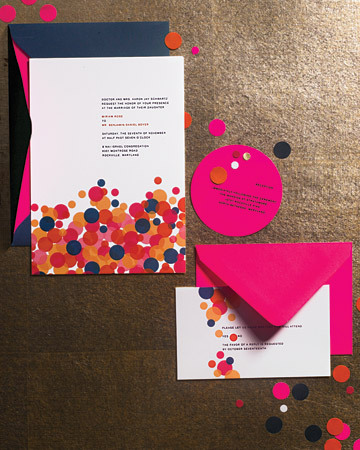 Adding these features will give your invitation the perfect amount of inspirational fun. 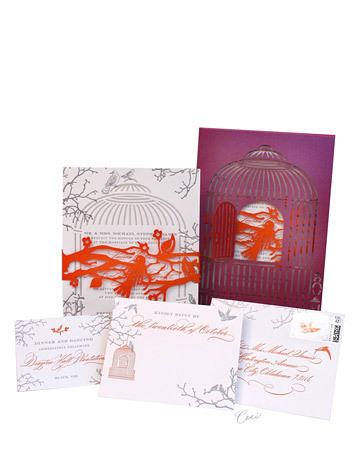 When all else seems to uniform and over done to you , you can also go a more personal route and invest in custom invitations. These custom works of art allows you as a couple to go all out and include all of the elements that you feel should be added. Some couples work with a designer to craft an intricate design that will follow through to their wedding while others choose to take intimate photos and include them with their invite. This is your chance to have the most fun with your guest’s and it is sure to allow them to get an idea f your wedding’s decor and overall feel. This like many other things your doing in this time period should be fun for the both of you. This is only the start of your planning , so make it fun and as always enjoy yourselves. This entry was posted in Wedding Advice & Tips, Wedding Decor, Wedding Details, Wedding Planning and tagged Wedding Details, Wedding Invitations, Wedding Invitations & Stationary, Wedding Planning. Bookmark the permalink.